It’s always easier to make a sale when you build a relationship first. Use social networks such as Twitter and LinkedIn to find prospects and get to know them online before you even think about selling something. Invest your time up front in these relationships, without asking for anything in return. Show your friendship first. The most valuable business asset of social media is listening. Pay attention to what your prospects are saying online. Monitor their social feeds. Engage when you feel compelled, especially when the conversation has nothing to do with what you’re selling. 3. Uncover problems and needs. If you’re listening well enough, you’ll notice when your connections, followers and prospects say something that’s a hint that they need what you have. That’s your opportunity to engage further in a conversation that will lead to a sale. 4. Help people solve those problems. Demonstrate your expertise and your willingness to help, using great content, great questions and great care. This is your specialty, and whatever it is you’re selling, think not of the sale but of the help you’re providing to someone whose needs you’ve uncovered online. Social media purists will tell you that it’s all about listening and conversation. And as I said, listening and engagement is super important at the early stages of the sales funnel. But in the end, it’s essential to ask for the sale, whether through an online link or a request to take the conversation to a phone call or even an in-person meeting. You won’t get the sale unless you ask for it. Those are the 5 key steps to selling anything using social media. If you’re paying attention, you’ll note that these are also five key steps to selling anything – anywhere. Long before social media, there was relationship-selling: listening, helping sove problems, and closing. Now, there are lots of social networks and technologies and tools that may overwhelm some people. But to those people who embrace it all, it allows you to sell at greater scale and efficiency than ever before. Now it’s your turn. How have you used social media to find customers and begin marketing and selling? 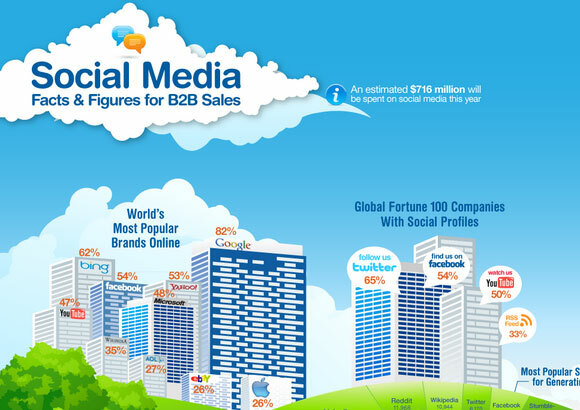 Which of these tips do you think is most important for selling through social media? How do you think selling offline is similar to and different from selling online? Let me know your thoughts in the Comments below – and please do share this article with yournetwork of salespeople and business professionals.